Be the first to share your favorite memory, photo or story of Anthony Kevin. This memorial page is dedicated for family, friends and future generations to celebrate the life of their loved one. 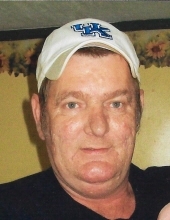 A Taylorsville resident, Mr. Anthony Kevin “Tony” Lewis, age 60, passed away Saturday, October 13, 2018 at the residence of his daughter. He was born September 2, 1958 in Spencer County to the late Marvin and Janie Bell Thompson Lewis. Tony was a former employee of Williams Sanitation for 25 years and Spotless Pressure Washing. He is survived by 2 daughters, Melissa (Thomas Lee) Berry, Ivy (David) Rogers, both of Taylorsville, 2 sisters, Diane Curtsinger of Fairfield, Lorraine (Donald) Bagshaw of Waterford, 3 brothers, Ronald (Wanda) Lewis of Bloomfield, Darrell (Beverly) Lewis, and Charles Lewis, both of Waterford. 4 grandchildren also survive. To send flowers or a remembrance gift to the family of Anthony Kevin "Tony" Lewis, please visit our Tribute Store. "Email Address" would like to share the life celebration of Anthony Kevin "Tony" Lewis. Click on the "link" to go to share a favorite memory or leave a condolence message for the family.